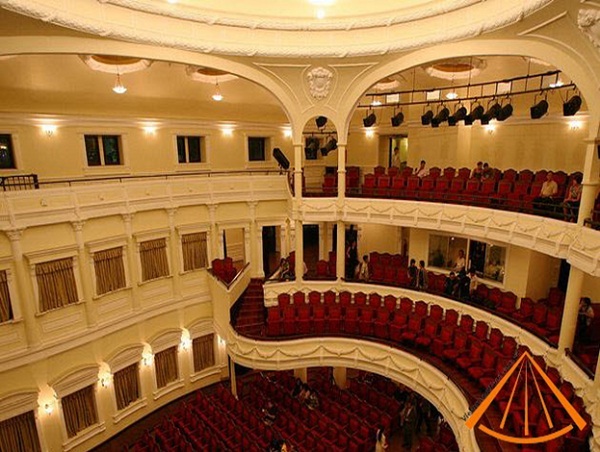 The Municipal Theatre of Ho Chi Minh City, also known as Saigon Opera House, is an opera house in Ho Chi Minh City, Vietnam sitting in Lam Son Square at start of Le Loi Street. It is an example of French Colonial architecture in Vietnam. 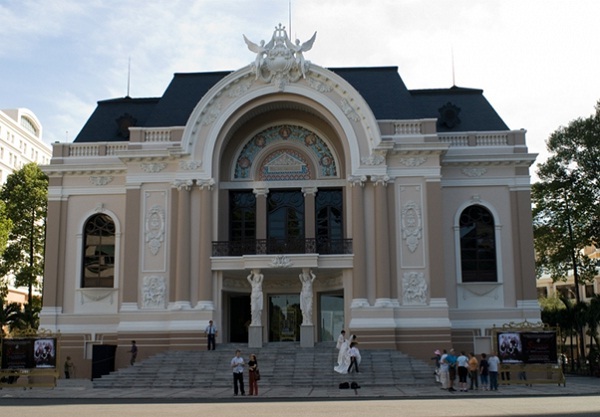 The Municipal Theatre hosts the Ho Chi Minh City Ballet Symphony Orchestra and Opera and therefore a variety of traditional and classical performances are staged there. 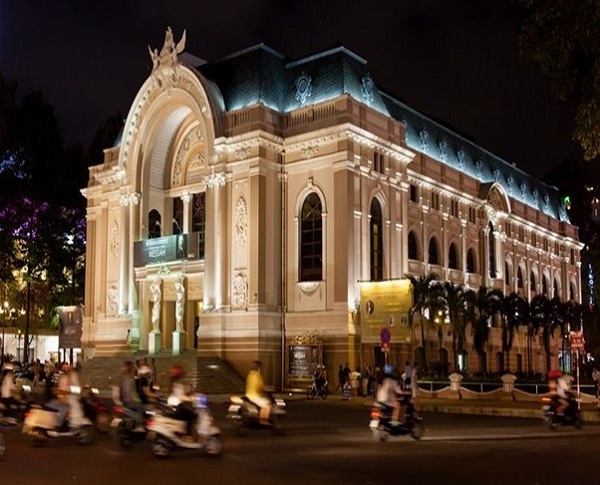 Closely associated with the city’s history, the Municipal Theater is undoubtedly the emblem of Ho Chi Minh City and a popular tourist attraction. The theatre was renewed with new materials and equipped with state-of-the-art electric appliances, light and sound systems and fire and safety equipment. With a rotating stage and a 800 – seat hall, the theatre meets the required standards for various artistic forms such as singing, music, dancing and traditional and modern dramas. With one ground floor and two upper storeys together with 1,800 chairs and soothing atmosphere of the great sound and light, The Great Museum of The City has been evaluated as the most ideal and professional place with excellent services by both local and foreign guests. Moreover, this house – the brightest building of Ho Chi Minh City – is also one of the exciting destinations which no one should miss when visiting this city. The Municipal Theatre in Ho Chi Minh City is a place lovers of culture, history and architecture will be delighted to discover.